COMMUNITY AND DISTRICT NURSING ASSOCIATION: Caring for those who care. 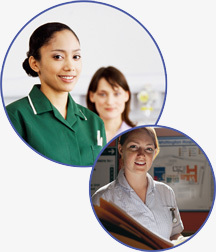 The CDNA is a specialist trade union representing nurses, healthcare assistants and all other primary care practitioners working within the community. At this time of unprecedented upheaval in the NHS, Primary Care workers need a clear, coherent and compelling voice to speak up on their behalf on the issues that affect them in their roles. The CDNA provides the strong professional leadership needed to defend community care and the services our members provide.